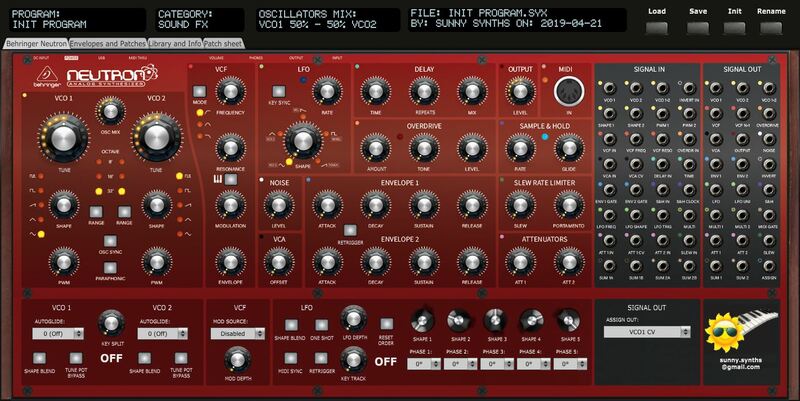 This panel can also be called “advanced patch mapper” and is not a full patch loader/saver as the Behringer Neutron does not support the load/save of programs or the manipulation of all its program parameters by Midi NRPN/CC/Sysex messages except for about 40 of them (documented on p27 and 28 of the manual). 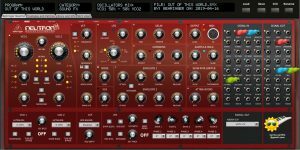 In comparison to the Sunny Synths’ Model D and Grandmother panels, this Neutron panel is thus offering much more possibilities of exchange between the synth and your PC or your controller thanks to the addition of the Neutron OS 2.0. 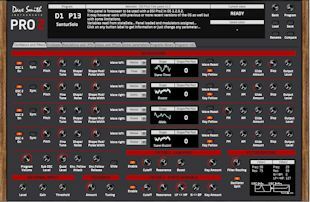 Behringer Neutron interface with similar way of working as actual synthesizer. The manual can be downloaded from Sunny Synth’s OneDrive. The panel is only a patch loader/saver on computer as the Moog Grandmother does not support the load/save of programs by sysex dump exchange. It supports however the manipulation of some program parameters by Midi CC messages but far from all parameters are covered (only the ones described on page 43 of the Grandmother manual). 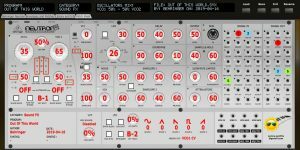 This panel is only a patch loader/saver on computer as the Behringer Model D does not support the load/save of programs or the manipulation of program parameters by Midi NRPN/CC messages except for Global settings that can be transferred to the Model D (added from v2.1 of this panel). It can thus also be called a “patch mapper”. v1.4 Some minor corrections in the display of help text and values. 2018-01-01: v1.4 Envelopes DADSR values displayed. Inverted envelopes when Env. Amount is negative. Added Key Assign and Pitch Wheel ranges. Some corrections. Manual updated. 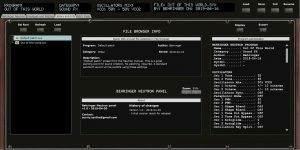 2017-03-20: v1.00 First non beta version. Compare button added. Programs info tab added. Manual updated. 2016-09-19: v0.27 Adaptation of some Lua code that was not working for MAC. PC users do not need to download this version. 2016-09-01: v0.26 Corrections based on users feedback. Glide Mode added. 2016-08-29: v0.25 First public beta version. Thanks for downloading and for posting your comments on this page or on the forums!